Erin Go Bragh. Anglicized from the Gaelic phrase for "Ireland Forever.” In the mid-19th century, the slogan was particularly popular among many Irish immigrants who had moved to the United States for political or personal reasons, yet maintained their strong familial, social, and often nationalistic ties to the old Emerald Isle. Erin Go Bragh. Anglicized from the Gaelic phrase for “Ireland Forever.” In the mid-19th century, the slogan was particularly popular among many Irish immigrants who had moved to the United States for political or personal reasons, yet maintained their strong familial, social, and often nationalistic ties to the old Emerald Isle. Tens of thousands of Irish-born men (and a handful of women) and an even larger number of Irish and Scots-Irish descendants fought in the Civil War, with Sons of Erin serving prominently in both the Union and Confederate armies. Many left compelling personal stories of their martial service, or of Irish comrades. 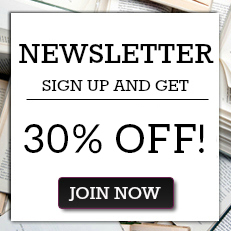 Multiple award-winning author Scott Mingus has teamed with long-time living historian and Civil War buff Gerard Mayers to present more than 150 of the best of these stories. Here, in this unique collection, readers will find interesting or unusual tales of courage, boldness, and/or humor. Many have rarely been seen in print since their original publication more than a century ago. They have been condensed and reworded for the modern reader, and the original sources have been cited. 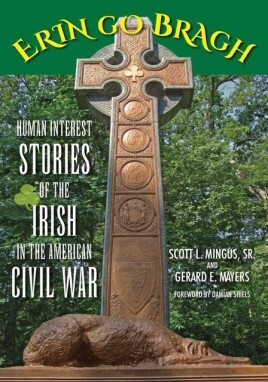 This anthology also includes brief biographies of several leading Irish soldiers and personalities, including Patrick Cleburne, Father William Corby, James Shields, Michael Corcoran, and the incomparable Thomas Francis Meagher of the famed Irish Brigade.